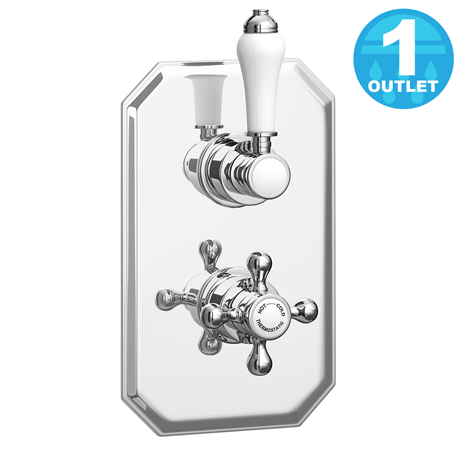 The Traditional Trafalgar Concealed Thermostatic Valve will compliment any classic bathroom suite, offers thermostatic showering via two easy-to-operate controls for temperature and flow. Designed to work with a single shower accessory. Really pleased with this purchase excellent value for money would use Victorian plumb again.